Lawyers represent many different clients. There’s a limit on how much we can infer from these relationships. But it is striking how many lawyers with extremely close ties to the Trump family, often longtime lawyers for President Trump himself, are also currently representing various foreign interests who the Special Counsel is now investigating in its probe. What I’m about to describe involves a slightly different set of people. But it is similar and to me quite notable. It comes from this new blockbuster Times article revealing offers of help from a group of Gulf princes which Donald Trump, Jr. apparently eagerly embraced. Let’s put a pin in that larger story for a moment. We’ll return to it. One of the major players in this is Joel Zamel, an Israeli social media expert who has a company that runs social media psy-ops campaigns quite similar to the effort Russia mounted on Trump’s behalf in the 2016 campaign. The possibility of his doing that on Trump’s behalf came up in these newly revealed meetings. Zamel also has close business ties to a number of key Russian oligarchs who he has frequently worked with. 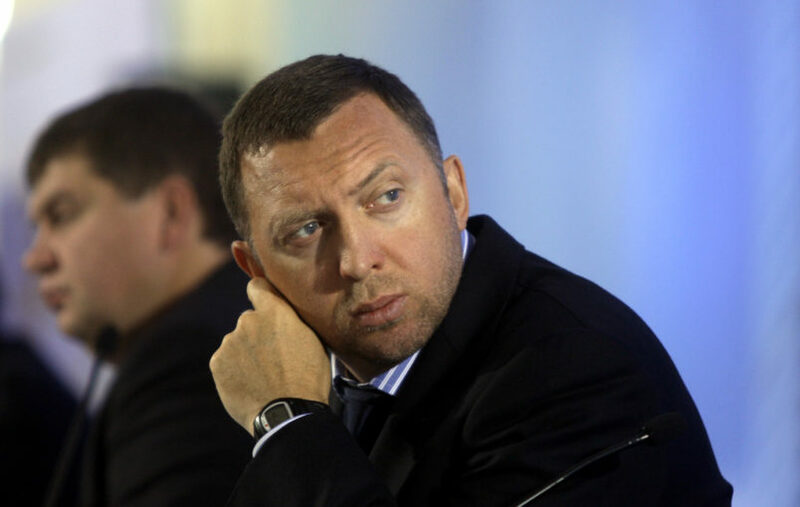 One of them is Oleg Deripaska, the guy Paul Manafort owed all the money to. Needless to say Bob Mueller’s investigators seem highly interested in all of this. Again, let’s put a pin in that larger set of connections. The Times notes that Zamel is represented by a man named Marc L. Mukasey. You may recognize the name because he’s the son of the former Attorney General Michael Mukasey. For our present purposes what is important is that Mukasey has been the deputy and the law partner of Rudy Giuliani for years. Partnerships are big. You can be the ‘law partner’ of lots of different people. This is different. They’ve been like a team for many years – first at Bracewell Giuliani and then together again at Greenberg Taurig. Indeed, when Giuliani came onboard with President Trump, Mukasey was in discussions to join President Trump’s team. That was just a couple weeks ago! Now, one might say to all this, people represent lots of different people. As long as you’re clear with all involved about whether there are any conflicts, it’s not necessarily a problem. That’s true as far as it goes. But a lot of these relationships are very close, very incestuous. Here’s another example. Marc Kasowitz, President Trump’s longtime attorney, represented Trump in the Russia probe for a significant portion of last year and has been consulting with the President in recent works also represented the US affiliate of Russian oligarch Viktor Vekselberg. That’s the outfit that paid $500,000 to Michael Cohen. Again, lawyers work for lots of different clients. They sometimes appear to connect up weird combinations of people through different people they represent. All of that’s true. But there are lots of examples of Trump lawyers and people tight in Trump’s orbit representing people on the other side of these collusion investigations. It’s odd.